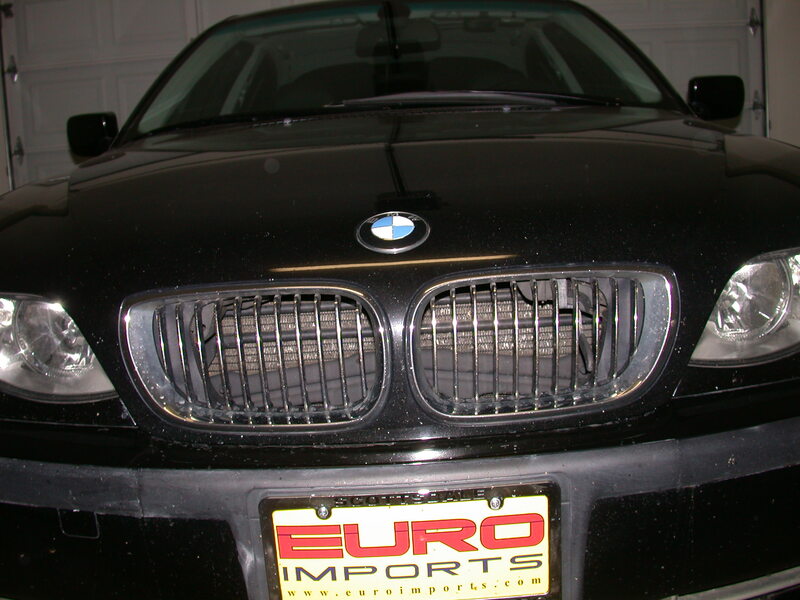 2003 BMW 330i (E46 model), ULEV, with 225hp, 215lb/ft of torque at 3500rpm, faux wood trim, 8-way power 2-way manual seats, lumbar support for the front seats, Harmon Kardon audio system, 5-speed manual transmission, 225/45ZR17 front tires, 245/40ZR17 rear tires and other things as well. 21mpg/city, 30mpg/highway (EPA estimates). 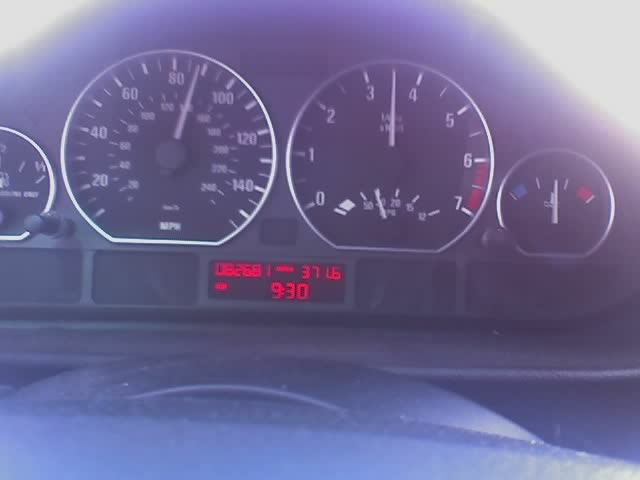 I routinely get 30+ mpg on the highway. 30mpg @ 90mph on the highway is routine. Peak torque is at 3500rpm, so staying within the powerband in 5th gear is pretty easy. 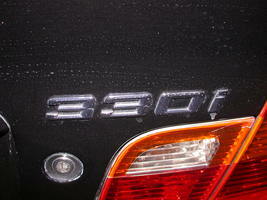 Driving a bit more conservatively can result in 33mpg. 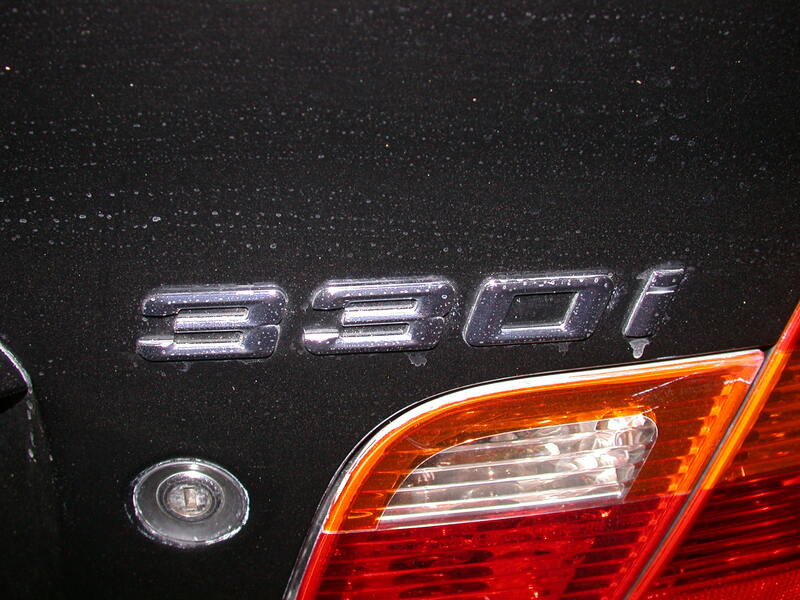 Additionally, this morning (2008-03-17) I averaged 34.3 mpg on my 35 mile commute to the office. Speed-wise I averaged 67mph. 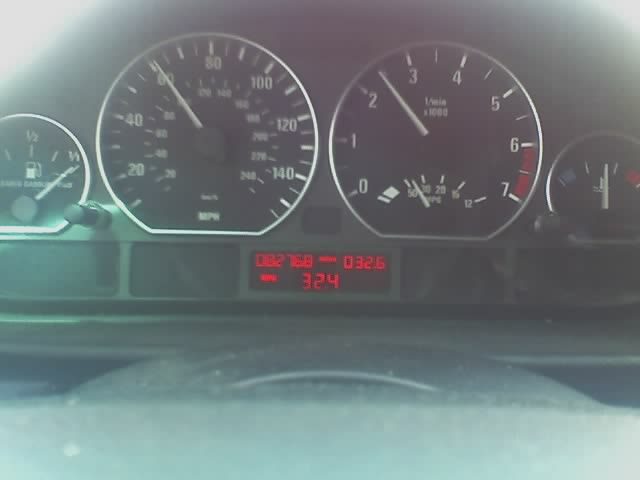 This is with cruise control set at 75mph. UPDATE: 2009-11-13: We're now at a cool 151,000 miles. 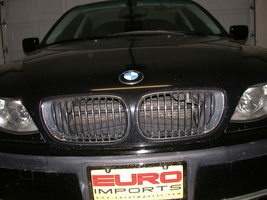 The 330i is running great with 235/45YR17 Yokohama YK520 tires, which supposedly will last 50,000 miles. So far the rear drivers side tire blew on the highway and I had to make use of the 330i's full-size spare tire... which was nearly flat. A quick trip to a local tire shop had things fixed up and two new tires in the rear, a new spare tire (225/45), and a four wheel alignment. 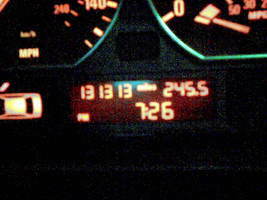 Everything's great now and our trusted mechanic sees no problems with the car lasting another 150,000 miles.